As president of NAPALSA for 2016-2017, Alexandra coordinated NAPALSA’s executive board and regional directors in planning and executing regional events and the national convention. She is the founder of the NAPALSA Mentorship Program, which pairs NAPABA attorneys with NAPALSA students by location and practice area. She also lead NAPALSA’s contribution to the NAPABA 20×20 initiative, draft the monthly newsletter, and maintained their relationship with sponsors. She worked as a law clerk for NAPABA’s Policy Department in Fall 2017. As part of an initiative to increase law school engagement, she is currently serving as NAPABA’s YLN liaison to NAPALSA. At Hunton & Williams (now Hunton Andrews Kurth), she worked with the Global Technology, Outsourcing, and Privacy team in the Corporate group, the Business Finance team in the Capital Finance and Real Estate group, and the Retail and Consumer Products team in the Litigation group. She assisted the Global Technology, Outsourcing, and Privacy team with reviewing and preparing cloud software service agreements, as well as with legal research. She assisted the Business Finance team draft legal opinions and review confidential information memoranda and loan and security agreements. She drafted research memoranda for the Retail and Consumer Products team. After graduation, she will join Hunton Andrews Kurth’s Capital Finance and Real Estate group. 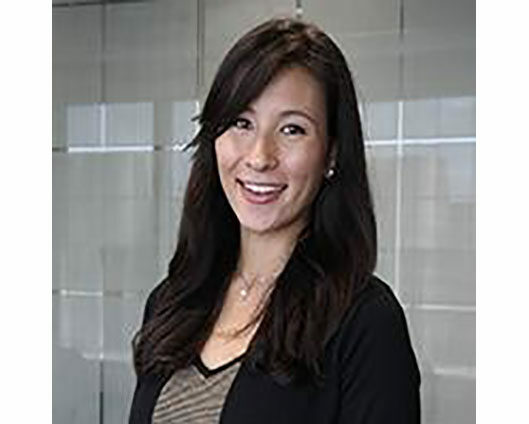 At Washington & Lee, she is the president for her law school’s APALSA chapter, as well as a member of the Sports, Entertainment, and IP Law Society. She is on the external moot court competition team and represented Washington & Lee in the 2017 ABA Moot Court Tournament.